Yet another version of Focaccia in 5 using Olive Oil Dough from Artisan Pizza and Flatbread In Five Minutes a Day. Filled with sugar and spice, this one is great for breakfast, brunch, as a dessert or sweet treat. Preheat a baking stone near the middle of the oven to 425°. Pour 2 tablespoons of olive oil into a 9” square pan and evenly coat the bottom of the pan. Set aside. Dust the surface of the refrigerated dough with flour and cut off a 1-pound (grapefruit size) piece. Dust the piece with more flour and quickly shape it into a ball shape by stretching the surface of the dough around to the bottom on all four sides, rotating the ball a quarter turn as you go. 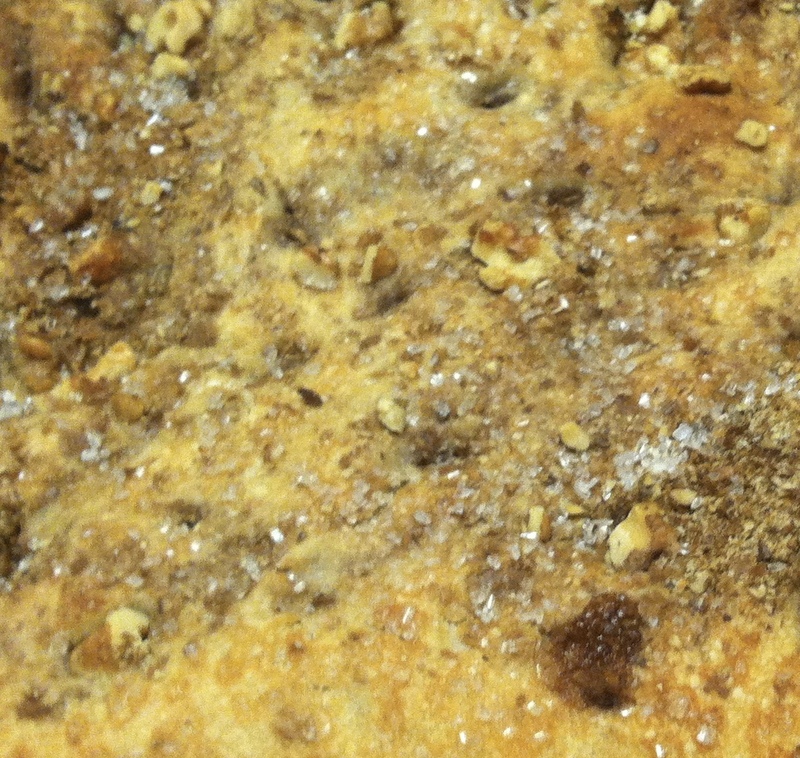 Flatten slightly and then top with sugar, cinnamon, raisins and most (but not all) of the nuts. Pull dough over filling to enclose additions and then twist into a log shape to further enclose mixture. Dust with more flour if needed. Pull the twist into a ball shape. Using your hands, flatten it into a 1/2” thick round. Place the dough top side down into the cake pan, and move it around a bit to cover it in olive oil. Turn the dough over, cover the pan with plastic wrap, and let it rest for 10 to 15 minutes. Use your hands to gently push the dough to the edges of the cake pan. 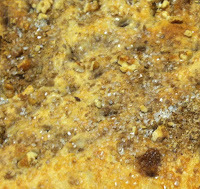 Sprinkle remaining nuts and coarse sugar over the surface and push into the surface. After the focaccia has rested, use your fingers to stipple the surface of the dough and then place the cake pan on the baking stone in the oven. Bake for 25 minutes, or until the crust is medium brown and crisp on the bottom. The baking time will vary according to the focaccia’s thickness. Cut into squares or strips and serve warm with Powdered Sugar Dip. This bread is also good toasted; split in half before toasting if desired.